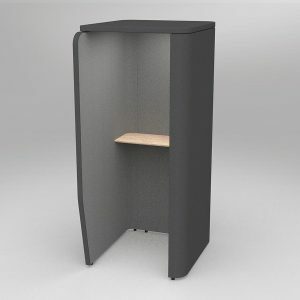 Motion Link phone booths provide workers with a small private space to make phone/video calls. A standing height table top provides space for laptops or notebooks if necessary. Motion Cape seating can be arranged to create meeting spaces or be used as quite spaces to complete short individual tasks. 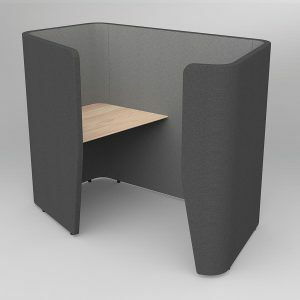 The large acoustic panels provide a good level of privacy in the busy work environment. 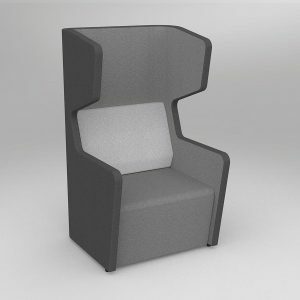 Choose from 10 Motion Felt colours for the backrest. 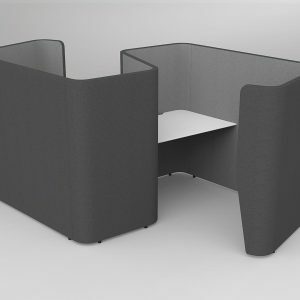 Motion Wing seating can be arranged to create meeting spaces or be used as quite spaces to complete short individual tasks. 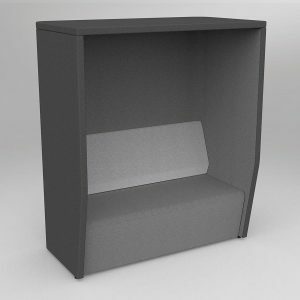 The acoustic wings provide acoustic privacy with a more unique bold aesthetic. Choose from 10 Motion Felt colours for the backrest. Motion Shell work pods provide a very high level of acoustic and visual privacy, allowing workers to complete focused individual tasks in a comfortable enclosed environment. Includes Motion Shell worktop. Motion Link phone booths provide workers with a private acoustic space to make phone/video calls. 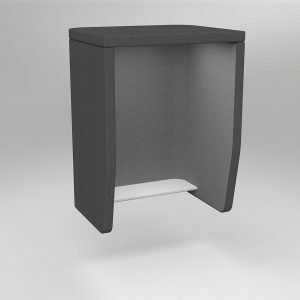 A standing height tabletop provides space for laptops or notebooks if necessary. Motion Link is designed to keep noise from the outside out, while also enclosing the user to prevent them from distracting others in the workplace. 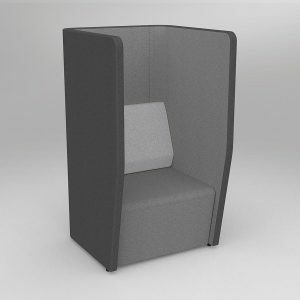 Motion Canopy seating can be arranged to create meeting spaces or be used as quite spaces to complete short individual tasks. The large acoustic panels and roof provide a very good level of privacy in the busy work environment. Choose from 10 Motion Felt colours for the backrest. 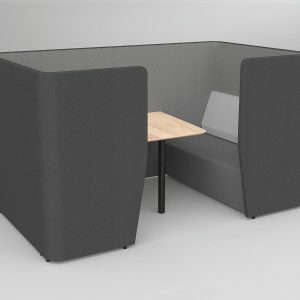 Motion Shell work pods provide a very high level of acoustic and visual privacy, allowing workers to complete focused individual tasks in a comfortable enclosed environment. Includes 2x Motion Shell worktops. Motion Meeting is a 4 seater booth which provides a high level of privacy for users. This enclosed setting is ideal for anything from focussed brainstorming sessions to client meet and greets. Includes Motion Meeting table. Choose from 10 Motion Felt colours for the backrests.